"Where the word of a king is, there is power" (Ecclesiastes 8:4). You have just found the best tool to study the Word of God, the Exhaustive Strong's Concordance with the King James Bible. This app is easy to use, fast and intuitive, packed with a lot of great features. We know you'll love it so much, it's our guarantee, because it's the result of the work of many Bible students, with a lot of labour and love for the Scriptures. 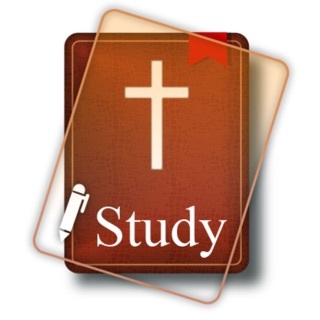 It's not just another Bible app, but your resource of study and relationship with Jesus. James Strong (August 14, 1822 – August 7, 1894) was an American Methodist biblical scholar and educator, and the creator of Strong's Concordance. Complete dictionary Webster 1828, with references to the King James Bible AV 1611. This dictionary is a reference work with 4,000 biblical enties of encyclopedic nature. This dictionary lists the meanings of the Hebrew names that appear in the Bible (over 2,500). This is a topical concordance of the Bible, with references to over 20,000 topics. The Smith's Bible Dictionary has thousands of entries explaining biblical words. The KJV isn't dificult to understand. Some words could be "archaic" and this dictionary has almost 800 entries. This is the original KJV translator's foot notes. To access it tap the "dagger" symbol at the end of verses. This dictionary contains more than 6500 entries specific to the King James Bible, many of them with passages, to better study the Word of God. + Fast and easy access to Strong's Numbers. + You can either search by Number or within the KJV text. + Greek dictionary and concordance. + Hebrew dictionary and concordance. + Real time Bible maps taken from actual GPS coordinates, with more than 1200 places! + Search Study Tools: Text Highlight, Bookmarks and Notes. + Search the current chapter with matches highlighted. + Many available text fonts for easy reading. + Write your own notes using our Text Editor. + Fast access to cross references. + Bookmark any verse easily. + Auto-scrolling with adjustable speed. + Treasure of Scripture Knowledge titles. + Words of Jesus in Red. + Old Testament quotes in Blue. + Automatic sync your notes and bookmarks on iCloud. + Day reading mode and night reading mode. + Change the text spacing and size. + Fast pinch to zoom the text. + Change the screen brightness. + Justify the text to left, right or center. + Reading mode and study mode. Loving the highlighting in different colors, helps a lot with studying. Love having Strongs right there as well, very very convenient! Thank you very much for making my Bible study so much easier!